The big issue in Europe is the ongoing invasion from Africa and the Middle East. If G-20 protestors were going to take to the streets and throw Molotov cocktails last weekend, THAT should have been their target. THAT’S the existential threat, the threat to Europe’s future–the future these millennials will have to live in. But that’s not what the G-20 protestors were protesting. Their target: CAPITALISM? We’re coming up to the hundredth anniversary of Lenin overthrowing capitalism in Russia. How’d THAT work out? Sometimes the world just doesn’t make sense. Of all of Africa’s 54 nations, only one is a member of the G-20. That would be South Africa (although Guinea and Senegal were guest participants at this year’s summit). South Africa’s an interesting study. For race realists, it’s also a disconcerting one. When the blacks took over 23 years ago, we all assumed the country would quickly collapse into economic destitution and tribal warfare, with the white people of South Africa counted as one of the tribes. The joke going around at the time was: Q—What’s the difference between South Africa and Zimbabwe? A—About five years. That was 23 years ago. South Africa’s still up and running, under black-run government all this time. Some humility is called for here among race realists. Some. Sure, South Africa has its problems, as all countries have. They have 27 percent unemployment, with widespread serious poverty, including a big poverty-stricken white underclass. 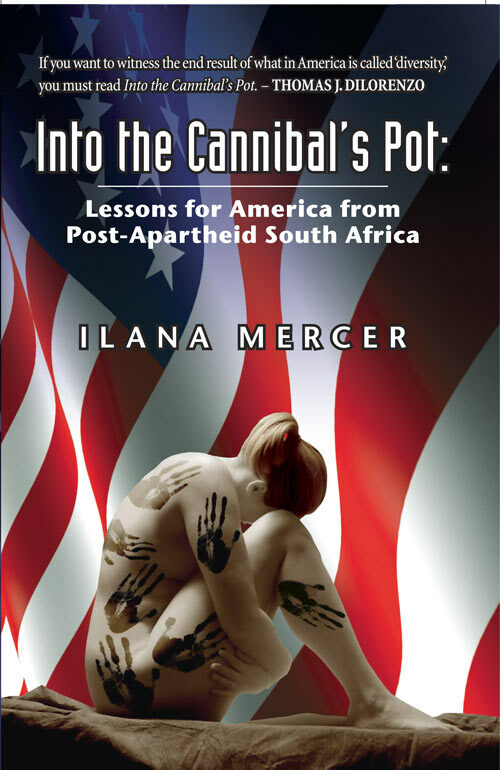 [Tough times for white South African squatters, by Finbarr O’Reilly, Reuters, March 26, 2010]Levels of corruption are, well, African. The crime rate is tremendous. South Africa’s homicide rate is in the low-to-middle thirties per hundred thousand. That puts South Africa in the world’s top ten, up there with Jamaica, Honduras, and Guatemala—although not in quite the same league as America’ own St. Louis, Baltimore, and Detroit, all of which have broken fifty per hundred thousand. A lot of the problems are First World-ish, though. South Africa actually has the ultimate status symbol among First World national vexations: an immigration problem. Reading South African news outlets, it’s surprising how many immigration stories there are. Random headline from this week: Crackdown Halves Number Of Foreigners With Temporary Residence Permits. [By Farren Collins, Timeslive.co.za, July 10, 2017]. For a further claim to First World status, South Africa also has declining fertility, now just above replacement level. The country’s politics are quite sane by African standards. Given the current levels of hysteria in Washington, D.C., it’s even tempting to say, “by American standards”…but let’s not over-egg the pudding here. True, it’s a de facto one-party state, with the ANC, the African National Congress, holding power all 23 of these years. The ANC has quite distinct right and left wings, though, economically speaking: a pro-business wing and a pro-labor wing, who bicker constantly. There are significant opposition parties that did well in last year’s municipal elections. One of them won control of Pretoria, one of South Africa’s three capital cities. So, hey, we could just as well be talking about Denmark here! Well, not quite. South Africa adopted the crony-capitalist economic model. Well-paid do-nothing government jobs are dominated by blacks, while the white and Asian–mostly Indian–business classes are left alone to make money. It’s not a bad model–Malaysia’s made it work for coming up to fifty years. 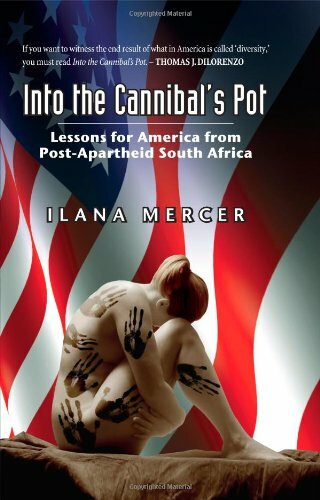 South Africa has its own particular issues, though–the issues spelled out in Ilana Mercer’s 2011 book Into the Cannibal’s Pot. Fertility may be down towards replacement level, but as any demography buff will tell you, that leaves a huge “bulge” from the previous higher rates to work its way through the age cohorts. Millions of young black South African adults are jobless. They are rallying to Julius Malema’s new Economic Freedom Fighters (EFF) party, which is Castro-ist in economics and fiercely anti-white. The ruling ANC is becoming more anti-white to protect its left flank against the EFF. At an ANC party conference last week the most hotly debated issue was whether white assets should be expropriated with or without compensation. Nobody seemed to think that white assets should not be expropriated. So while race realists should admit they were too pessimistic back in 1994, I for one am not about to eat crow. As a model of multiracial harmony, South Africa will likely soon lose the little luster it had. Four years ago here at VDARE.com I quoted that quip about South Africa being five years ahead of Zimbabwe, and said it should be filed under the heading “true but premature,” like videophones. I stand by that judgment. White South Africans, get out of there. Maybe President Trump can include them in next year’s refugee quota (which should otherwise be set at zero).